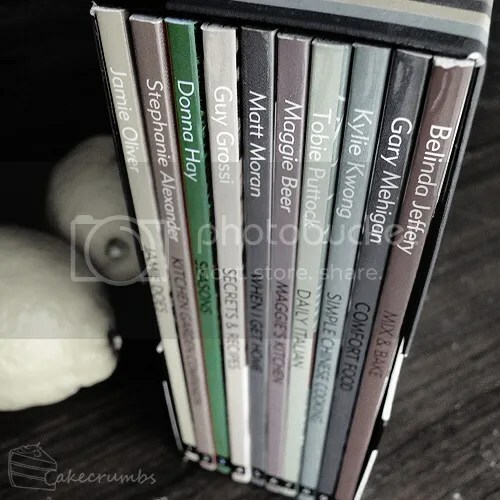 This week for the Cook Book Challenge, I actually remembered to grab the book from the right side of the pile. This is the third book in the mini-series: Donna Hay's "Seasons". This is a lovely little book split into 4 sections: one for each season. Its contents page is similarly divided, and I love the ease of access and quick reference to recipes this gives you. I had such a hard time choosing a recipe. Even confining myself to the winter section didn't work very well. But I eventually settled on a winter warmer, even though it came from the Autumn chapter. 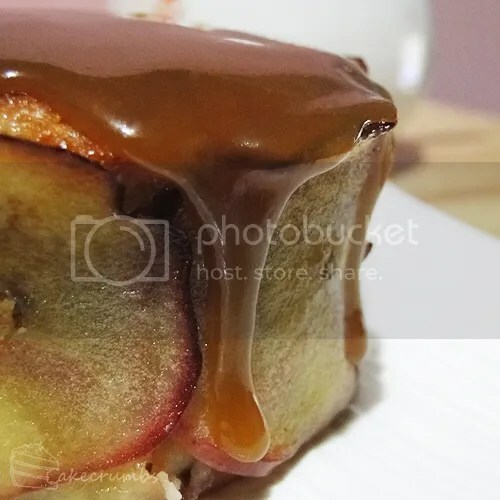 This apple and butterscotch pudding didn't jump out to me at first. The image for the recipe consists mostly of the two women from the cover lounging in the long grass, and this pudding is nestled away in the corner. Once I saw it, however, there was no turning back. 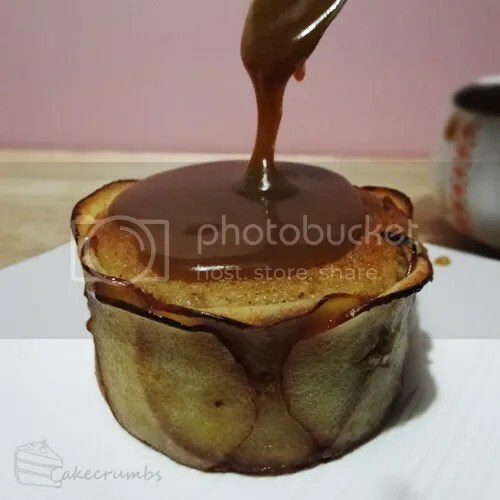 Butterscotch sauce is enough of a draw card for me, but these apple puddings just look so lovely and elegant. I love the way the pieces of apple curl back like little petals. I'd never made butterscotch sauce before, and after this I am definitely going to have to make it much more often. It's not only so easy, it's so delicious. Combined with this pudding, it's perfection. The cakes are so light and fluffy and delicious. I love the caramel flavour the brown sugar lends to them. But they definitely need this sauce. Alone I imaging they'd become too dry and dull after a few mouthfuls, but with this sauce it's hard to stop. There were only two of us for dessert this night, so at first I decided to halve the recipe. Then I had a brain fade and added a full quantity of sugar, so I had no choice but to make a full batch. I regret nothing. I did two puddings in the 1 cup-capacity dishes called for in the recipe and put the leftovers into a cupcake tin for noms the following night. 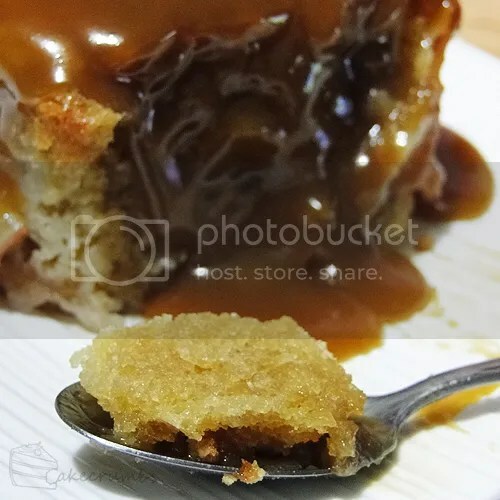 I served these mini puddings topped with more butterscotch and a scoop of ice cream. They disappeared just as swiftly as the first batch. We did find the 1 cup-capacity puddings difficult to finish, so it's one that requires quite an appetite. 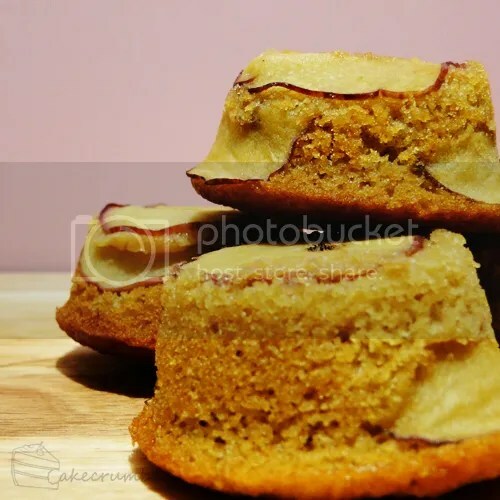 If you're up for a smaller dessert or want to stretch this out to feed more mouths, I'd definitely recommend the cupcake tin version — just reduce baking time by 10 minutes. 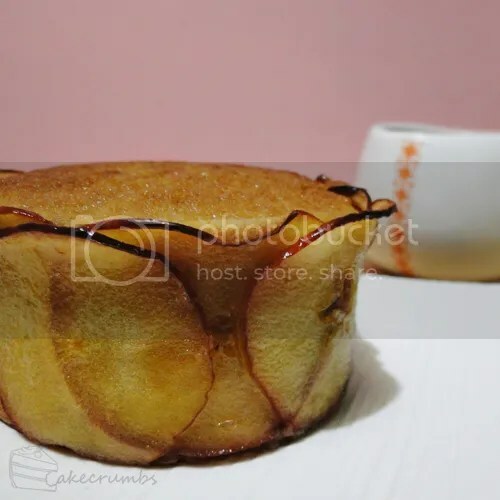 The puddings definitely look better if you don't peel the apples as the recipe suggests, but they won't soften during baking as the rest of the apples do. If you don't like the chewy texture of the baked skin and don't care about aesthetics, feel free to peel the apples first. Place extra butter and brown sugar into the bowl of an electric mixer and beat for 8-10 minutes or until light and creamy. Gradually add the eggs, beating well after each addition. Fold in the flour and almond meal and stir in the milk. Spoon the mixture into the cups and place on a baking tray. Bake for 30-35 minutes or until cooked when tested with a skewer. 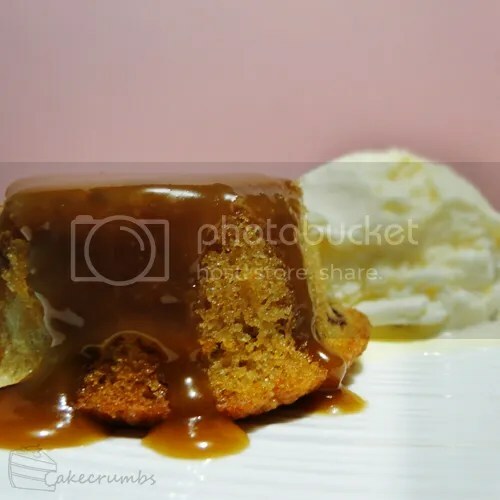 To make butterscotch sauce, place the cream, butter and sugar in a small saucepan over medium heat and stir until the sugar is dissolved. Bring to the boil and cook for 5-7 minutes or until slightly thickened. 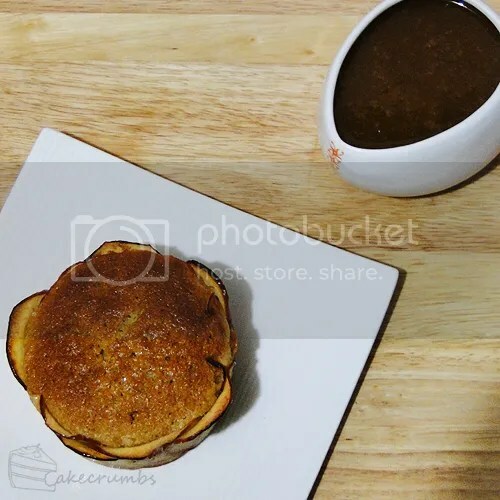 Turn the puddings out onto serving plates and serve with butterscotch sauce. Hi! Hope you don’t mind if I add you as a friend to keep track of these gorgeous recipes! 🙂 They just keep getting better and better! You rock! Not at all! Thank you for being interested enough to follow along and thanks for such a lovely comment. I’m truly flattered. So many oms. We’ll have to do this one again.